My purpose as a chiropractor is to help as many people as possible as possible to a greater quality of life. So many people suffer needlessly! I get great satisfaction in helping people get well without the dangers of drugs and surgery. 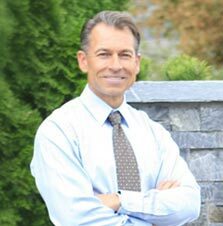 I grew up in the Okanagan, and received my Doctorate at the Canadian Memorial Chiropractic College In Toronto, Ontario. I have taken several post-graduate courses in acupuncture, sports training injury prevention, shiatsu muscle energy technique, and craniosacral therapy. I am a member of the Sports Weight Training Injury Specialists, the British Columbia Chiropractic Association, and Activator Methods Inc. I was the 1984 B.C. Provincial Bodybuilding Champion, the 1986 Central Ontario Bodybuilding Champion, as well as the 1984 and 1994 Okanagan Powerlifting Champion. Therefore, I have an interest in weight training injuries. My wife’s name is Darlene, and we have two children – Jenaye and Easton, so I have a huge interest in taking care of children. I love all sports. My wife and I enjoy playing volleyball together. If it weren’t for chiropractic care, I wouldn’t be able to participate in weight training, skiing, ice hockey, golf, or soccer. I invite you to come in to see if we can help!